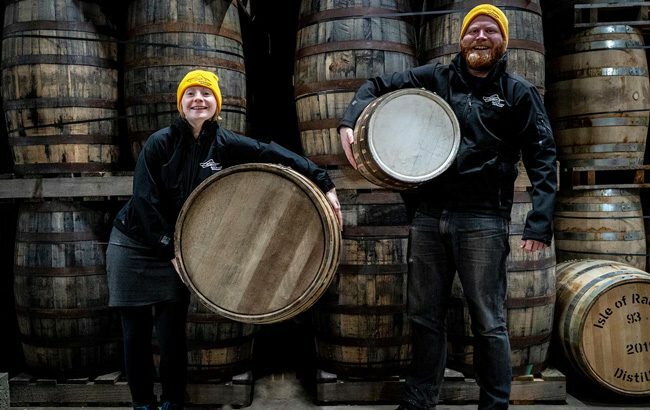 Scotland’s Raasay Distillery has expanded the availability of its maturing whisky with the launch of 30-litre ex-Speyside Scotch whisky casks. Raasay Distillery will begin selling the 30-litre ex-Speyside Scotch whisky oak casks through its website and in person at the distillery. The 30-litre casks join the distillery’s current offering of 190-litre ex-American whiskey casks. The casks should yield 40 bottles of Raasay single malt, which is produced and distilled on the island using Scottish barley and water sourced and filtered directly from a Celtic well on site. Distillery co-founder Alasdair Day said: “We wanted to make our first single malt more accessible in these new smaller casks. While the whisky matures, cask owners will be able to visit their casks at the distillery, and after the whisky is bottled owners can also keep their empty cask as a memento. The 30-litre whisky casks are priced at £999 (US$1,288) and the distillery’s 190-litre casks are available for £5,000 (US$6,447). The island-based Scotch whisky maker recently appointed Vision Wine & Spirits as its US distributor.